Picnic on the Prairie Pictures & More! Protecting environmentally-significant lands in Waukesha County for over 24 years. It's hard to believe another month has gone by. This month we had two wonderful education and outreach events––Picnic on the Prairie and a tour of our Weiland Preserve. One of the Conservancy's goals is to educate and engage volunteers to help care for our properties. With this in mind, we will be hosting additional tours and volunteer workdays into upcoming months. 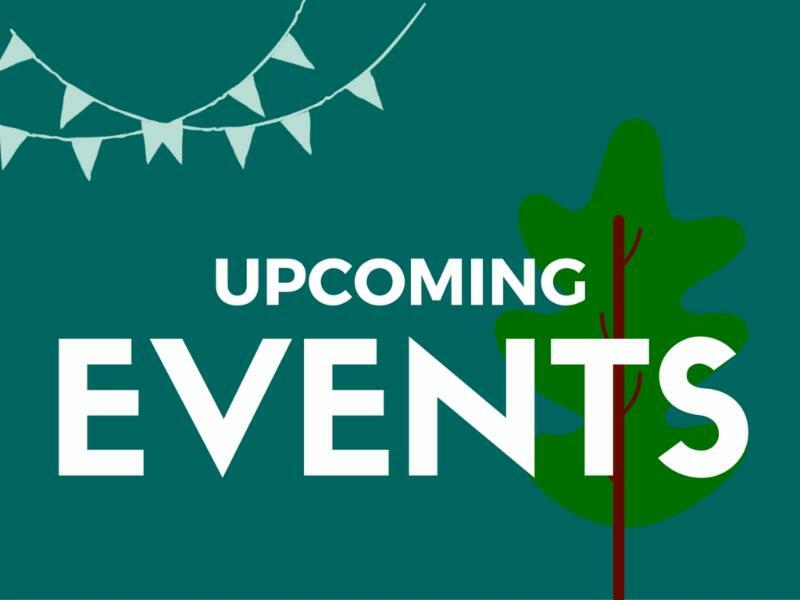 Check out the future volunteer opportunities and enjoy reading about what's happening at the Conservancy! P.S. 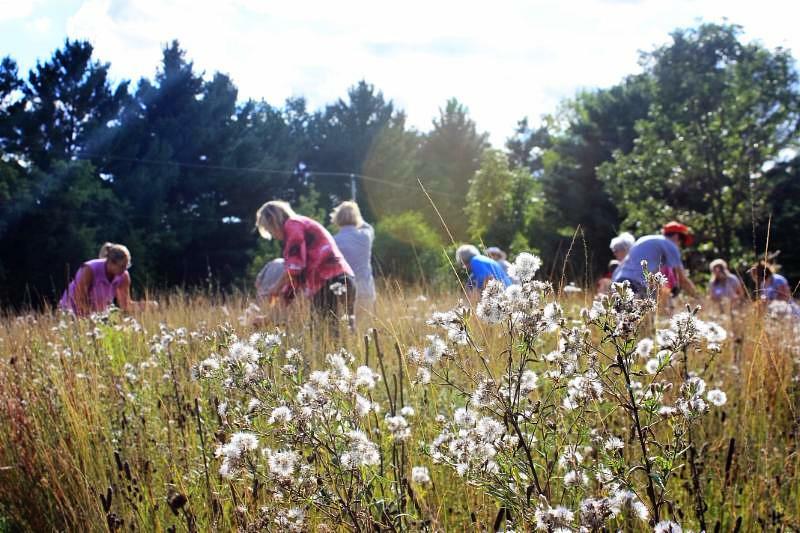 If you are not a member, consider joining the Waukesha County Land Conservancy family. With the WCLC family, every day's a picnic! On September 17, WCLC had its biennial Picnic on the Prairie at the gorgeous UW-Waukesha Field House. The event kicked off with seed picking and our wonderful host, Marlin Johnson, taught us about the importance of prairie flowers and why we were picking seeds. After everyone worked up an appetite, local food prepared by the WCLC board disappeared quickly! "I loved the food! It was just what I needed after picking seeds," Maddie, a face new to WCLC, shared. After our dinner, Marlin shared a short history of the Field Station and the lands that surround it. His inspiring talk was followed by a tour of the prairie. To see beautiful pictures from the event, CLICK ON THE PHOTO! The picnic shared with friends and the wonderful support system was absolutely delightful, and all of us at WCLC want to thank you for attending and for the donations that will help us restore our prairies! Another fun and exciting tour was held at our Weiland Preserve in Menomonee Falls. 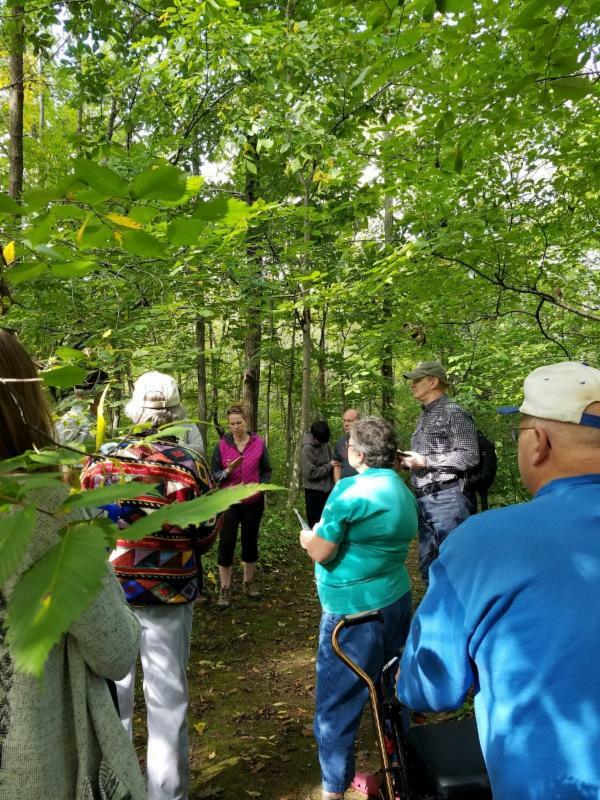 A guided tour with Dr. Neil O'Reilly, a UW-Milwaukee professor of environmental science and WCLC board member, highlighted surrounding plants, animals, ephemeral ponds, and invasive species all while enjoying a walk in the woods with friends. To attend a preserve tour event, "Like" the WCLC Facebook page to stay up to date! Or, you can click the link below to gather information about wildlife in the area and have your own wildlife hike. For more information on wildlife in the area, CLICK HERE! WCLC’s service learning program’s primary goal is to inspire future environmental leaders and to connect youths with nature, while increasing WCLC’s capacity to protect and steward more land. Service learning projects—like this one—provide students with meaningful, challenging, real-life experiences that expand their knowledge, develop an understanding and appreciation for land conservation, learn about the impact conservation has, and discover what they can do to help. 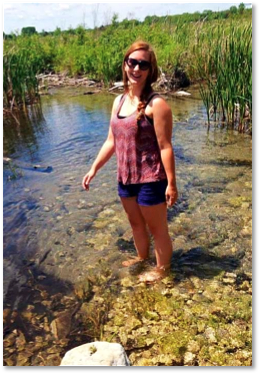 Emily Helm is a Land Stewardship intern working to maintain WCLC's properties with a major in conservation & environmental science and a minor in Geographic Information Systems at UW-Milwaukee. Some of Emily's many accomplishments include: coordinating all land protection activities, preparing materials for land acquisition committee meetings, facilitating committee meetings, drafting project selection criteria, and establishing easement baselines. Thank you for all of your hard work, Emily! "I have been able to learn the dynamics of land protection and how important it is to protect environmentally significant lands. Cheryl White provides challenges and goals for each intern, making learning a top priority." If you or someone you know is interested in an internship, CLICK HERE to send your resume to Cheryl White.